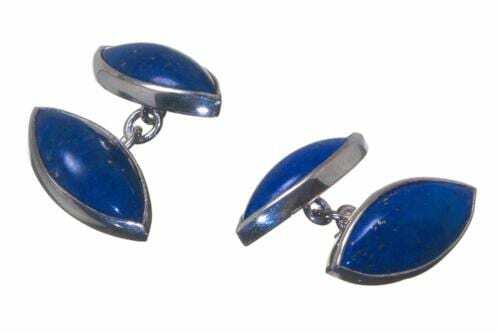 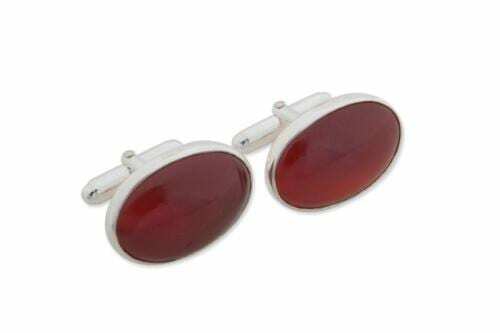 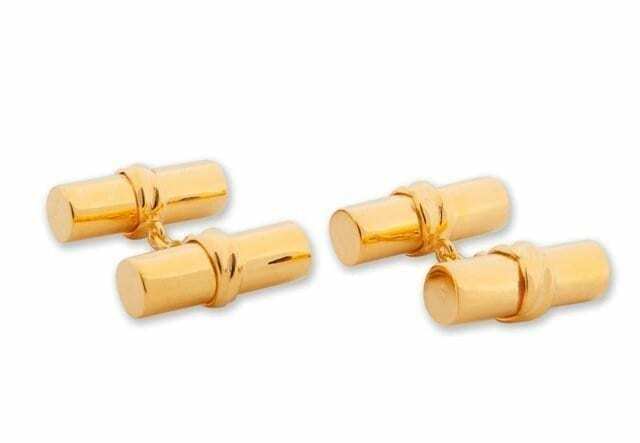 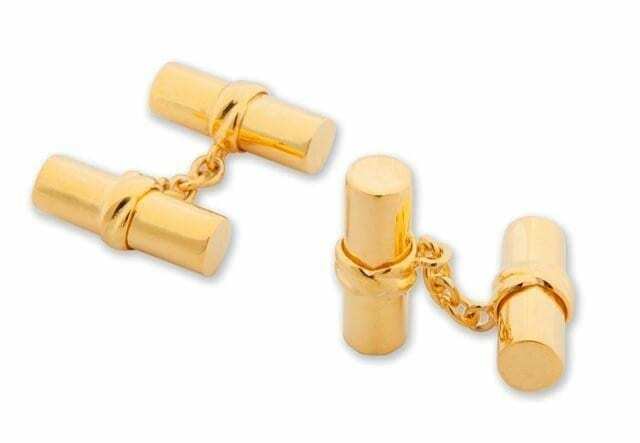 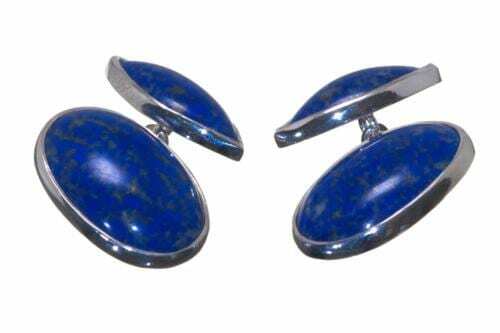 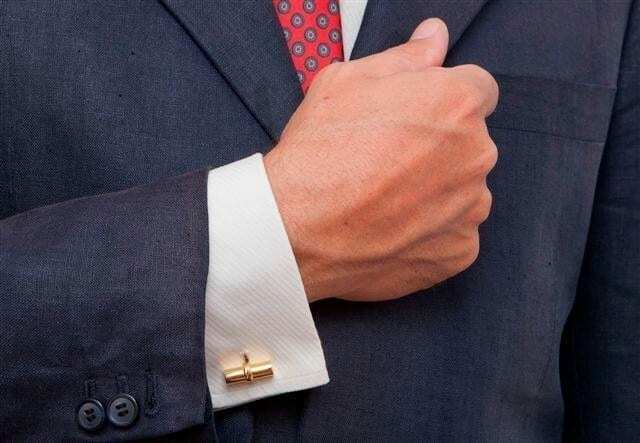 Solid Silver Gold Plated Cylinder Doubles Cuff links. 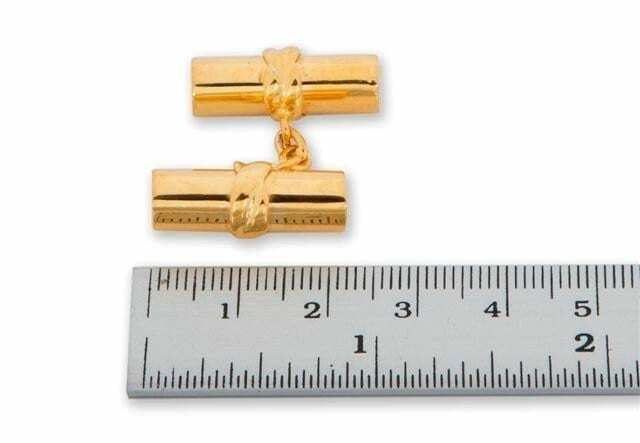 Set in a gold plated (5 Micron 18K Gold) sterling silver Chain. 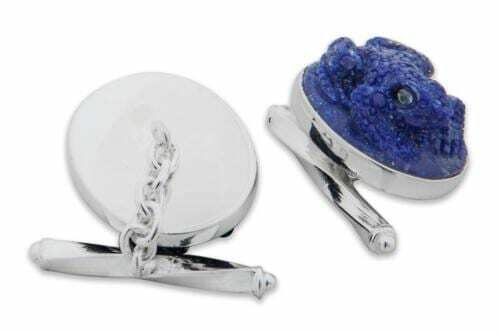 The design for these cylinder is based on 4 pieces of matching high quality silver to a cylinder shape measuring 22 x 7mm (7/8 x 9/32 inch). 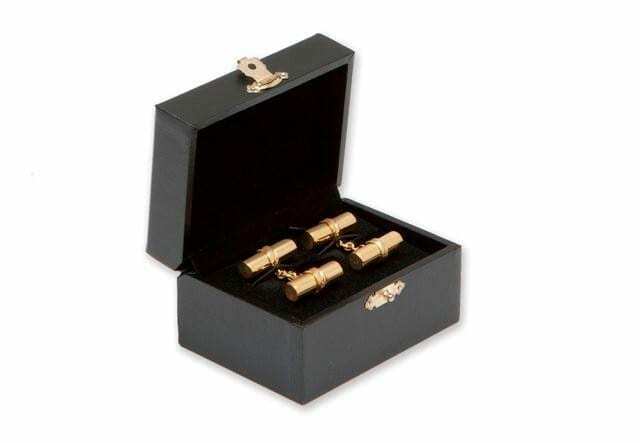 These 4 pieces of valuable silver are joined together by gold plated (5 Micron 18K Gold) sterling silver chains to form the traditional Regnas high quality double cylinder cufflinks.